"இண்டை கொண்டு தொண்டரேத்த எவ்வுள் கிடந்தானை' [பக்தர்கள், புஷ்ப மாலைகளை ஏந்திக் கொண்டு துதிக்கும்படியாக சயனித்தருள்பவனான பெருமான்] என திருமங்கைமன்னன் மங்களாசாசனம் பண்ணப்பட்ட பெருமாள் திருக்கோவில் திருஎவ்வுள் எனும் திருவள்ளூர் . 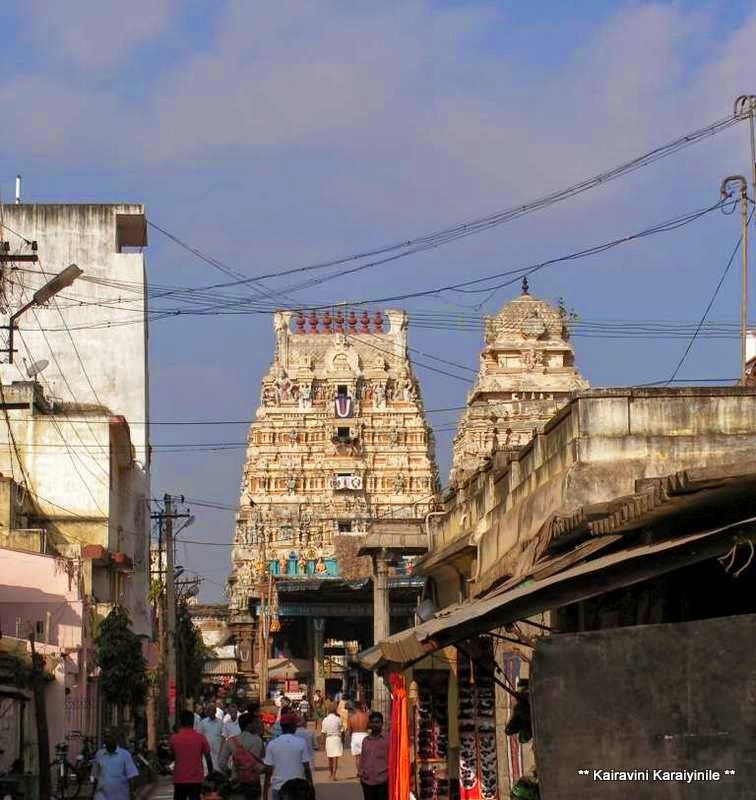 Not far away from Thiruvallikkeni [Chennai] is the Divyadesam popularly known as Thiruvallur [a District by itself] – known as ‘Thiru Evvul’. 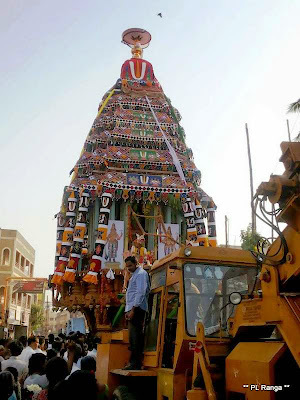 It is approx 45 km away from Chennai en route to holy Thirumala Tirupathi. One can pass through Poovirunthavalli, take right to Thirumazhisai and travel along to this Divyadesam. It is a puranic temple of epigraphical importance. 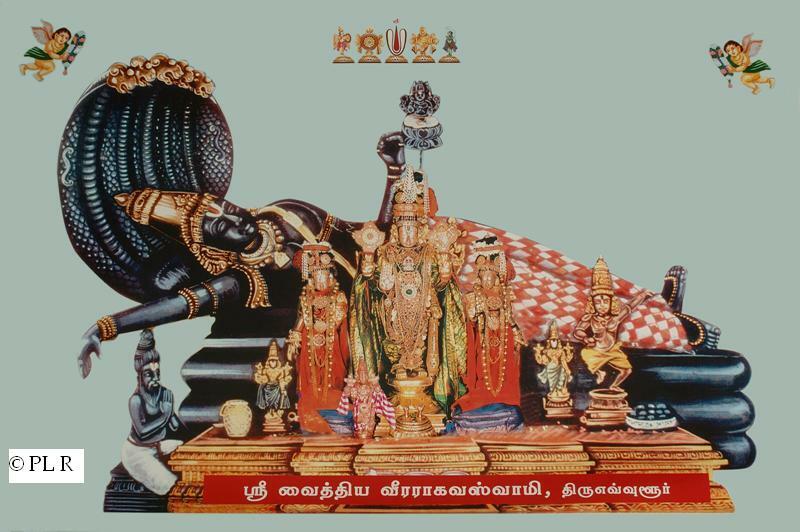 Lord here is ‘Sri Veera Raghavar’ - in reclining posture, with Brahma coming out from his navel in a meditating posture. Perumal’s right hand extends to bless the Maharishi and all His devotees. 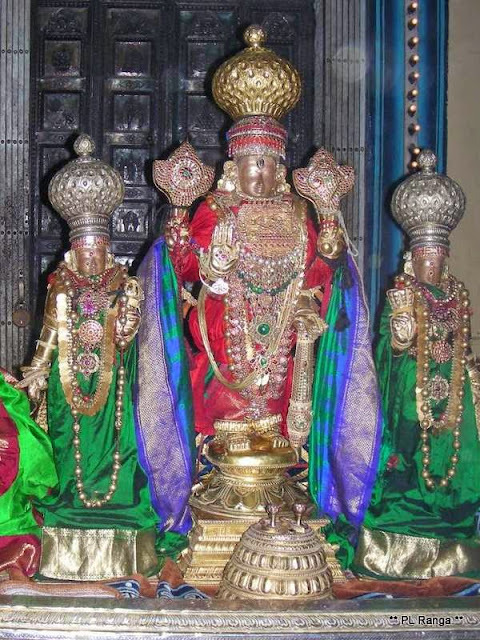 In the Sthalapurana, sage Margandeya gives a detailed account the dialogue between the sage Salihothra and Devabakhruk in the age of krithiyuga (the age of virtues and the first of four aeons). Lord Himself in the form of an old Brahmin, appeared before Salihothra maharishi who was doing great tapas. Being fully satisfied of the offerings of the Sage, He is believed to have asked the maharishi “evvul,” meaning where he could rest; Salihothra showing his hermitage, humbly said that He could regard his hermitage as his own and take rest. Lord so pleased with the tapas, then revealing His Swarupa asked Salihothra as to what he wanted. The sage Salihothra, feeling immersed in boundless joy and happiness and singing the glory of the Lord, prostrated before Him. With his speech faltering, he humbly said, “Lord, what else do I require after seeing your ‘Divine Form’ Lord and requested Him to be there. Graciously granting his wishes, the Lord lay himself full length placing his head in the south, direction with his left hand teaching Brahma who was born out of his navel, the pranava and placing his right hand on the head of Salihothra giving him his eternal protection and promising him. The Lord said, “As I asked Salihothra for ‘kingruham’or evvul (to rest where) and then having taken rest here, be that this place is called from now on ‘Kingruhapuram and in Tamil’ “Thiru Evvulur” and be that I am called “Kingruhesan” or “Evvul kidanthan”. I will be present here for ever. 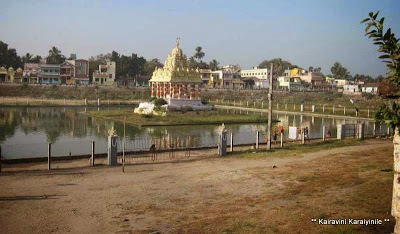 The pushkarini here is ‘Hrithapanacini. ‘Hrith’ means heart, ‘thapa’ means desires or sins and ‘nacini’ means that which removes. 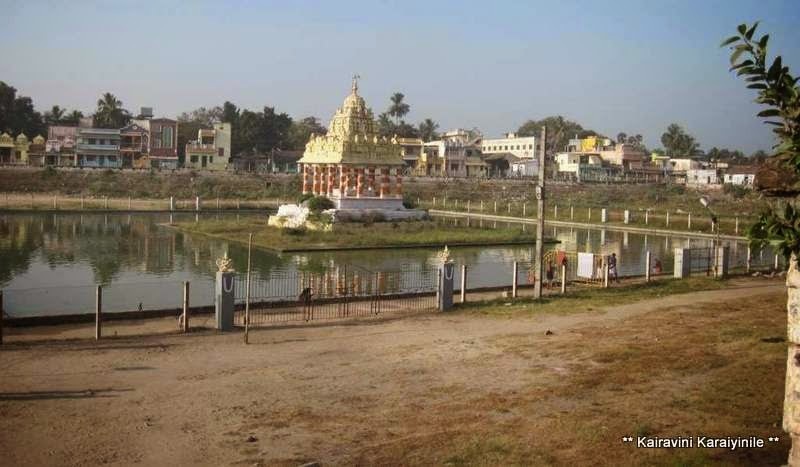 The holy water of the Temple tank would remove all desires and sins from the heart. It is believed that people would be ridden of their diseases by a dip in the tank and by mixing jaggery in the tank. Sri Veeraraghavar is also known as Vaidya Veera Raghava Swami postulating the mystic power to absolve us of our sins and diseases. The Uthsavar is Sri Veera Raghavar and His consort is Kanakavalli Thayar @ Vasumathi Thayar. நமது அற்புதமான இதி ஹாசங்கள் ஆன ராமாயண மஹாபாரத அவதார சிறப்புகளை கூறி : ஸ்ரீராமாவதாரத்திலே சிறிய திருவடி மூலமாக சீதை பிராட்டிக்குத் தூது சொல்லியனுப்பி, பிறகு அரக்கன் இராவணனுடைய லங்காபுரியை, தனது வில் மாண்டுபோகும்படி சீறிமுடித்து, பிறிதொரு காலத்தில் ராஜாதிராஜர்களான பாண்டவர்களுக்கு தூதுவனாக பெரிய இப்பூமியிலுள்ளாரெல்லாரும் இவன் இன்னாருடைய தூதன் என்று சொல்லும்படியாய் பெயர் பெற்ற அப்பெருமான், இந்த திவ்யத் தலத்திலே பள்ளி கொண்டுள்ளான் என்கிறார் கலியன் தனது திருமொழியில் . Recently, the Devasthanam [great efforts of the Pontiff, 45th Jeeyar of Sri Ahobila Mutt]have dedicated a new Chariot [Thiruther] costing approx 1.5 crores to the Perumal. Sri Veera Raghavar will grace the new Thiruther on Wednesday, 19th June 2013. Here are a couple of photos of the Thiruther when it was submitted to the Temple and taken around [karikkolam] on 23rd May 2013. 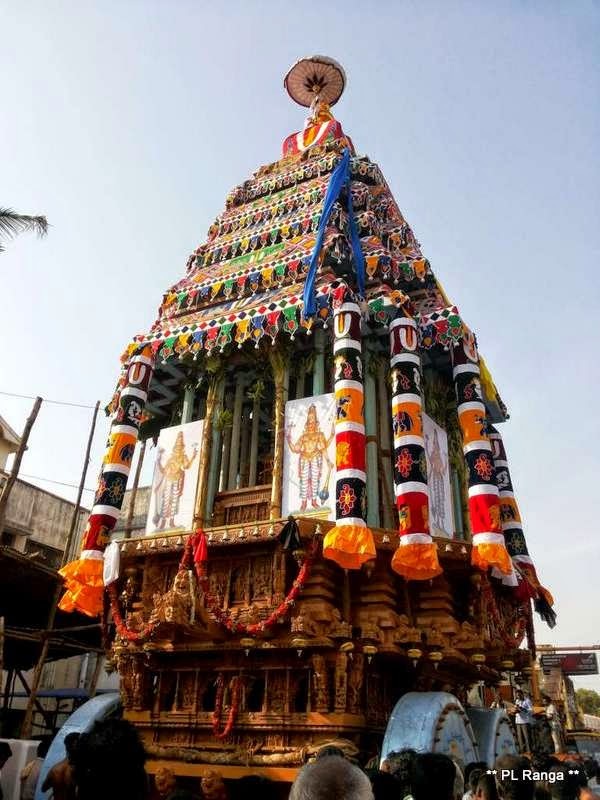 Be there at Thiruvallur on June 19th to witness the Thiruther and get the blessings of Sri Veeraraghavar. Photos and news courtesy my friend : Sri PL Ranganathan Swami.